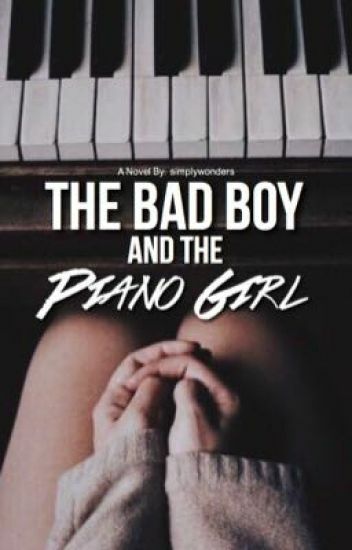 Heidi Thompson is a seventeen year old teenager whose life revolves solely around her piano and getting to Julliard- the best music school in the country. With her best friends and brother by her side, surviving the year will be a piece of cake- or will it? Enter Landon Knight. After spending two years in boarding school, the school's star basketball player is back. His attitude and magnetic charm pull all girls towards him except Heidi who has no idea as to who Landon is. What Heidi didn't know is that Landon, the boy she never knew existed, would change her world so quickly. But maybe we all need some change once in a while. Chapter Twenty One: Ice Cream? Ice Cream. Chapter Twenty Five: Welcome to the Zero Fucks Given Club! Chapter Thirty Four: You look... nice-ish? Chapter Thirty Six: Dad the Turkey's on Fire! Chapter Thirty Seven: What's Christmas without Ugly Sweaters? Chapter Thirty Eight: Hey, I love Peter Kavinsky! Chapter Thirty Nine: Seven Minutes in Hell More Like. Chapter Fourty Seven: She's Cheating On Me... With Jesus! "Daniel please-" He growled cutting me off mid sentence; making it obvious that he's pissed beyond belief. I never knew that telling him my past would upset him, at least not like this. I thought that after all we've been through, after everything that we have told and done together, that it would be okay to open up to him. I've never told anyone this before and when I finally do, to Daniel Tyson, he gets more mad than I have ever seen anyone in my whole life. His body snaps towards me; his normally bright eyes are dark and full of emotion and his face is hard with anger. "Why didn't you tell me?!" Danny exclaims, making me flinch. "I'm so sorry, I thought-" I sob and his hands wrap around my wrist and yank. "You thought what?!" More hot tears go down my face. "You thought that I wouldn't care? That I wouldn't understand? Why can't you get it through your thick skull that I will ALWAYS care about you Nida?!" Suddenly, Danny's lips are crashed into mine. Nida Vargas has been through hell and back trying to look out for her family and take care of herself at the same time. Ever since she started high school, it's been all about getting into college and making a better life for herself. Her family up and moved to Cleveland as a senior in high school and she's more focused than ever about school and only school. Until Daniel Tyson stumbled into her life, the schools star quarterback and most popular guy in school. The two most unlikely people to have any sort of connection: the New Mexican-American girl and the star quarterback. But the longer they know each other, the more their lives change for the better. A sweet tale of a broken girl who finds someone to bring her back to life. Seventeen year old Marley Hoover is a girl with a broken past who spent her days no more than a bookworm, who flew under the radar and blended into the background - content to remain that way. When an opportunity arises to go to a biology camp notoriously known as Camp Where The Hell Are We for three months beginning in early October - that would earn her the recommendation letter she needs for college - she takes the chance to leave behind her shattered family with her best friend at her side. Keeping to herself in a life she lives as a chore, Marley believes going to camp will be no exception. But she instead finds herself forming an unexpected friendship with a reckless, protective, intense, outrageously gorgeous, blue-eyed bad boy who knows just how to infuriate her. With his unbreakable ego, heartbreaking smirks, and readily available stock of innuendoes, her infamous high schools' quarterback Aiden Matthews is the epitome of everything Marley isn't. He's determined for her to have a place in his world she isn't sure she belongs in, but she may realize along the way that they're far more alike than she thinks. This book or any portion thereof may not be reproduced or used in any manner whatsoever without the express written permission of the publisher, except for the use of quotations in which the source and author is cited. Isabella Rossi ended up doing the one thing she promised herself not to do; fall in love with a celebrity. But Isabella's always been the rational type, and she knew that she had to love herself before she could love someone else. And so, she goes back to her roots and rediscovers who she is, since she seems to have lost that along the journey in life. When Kylie Johnson's overprotective older brothers continuously ruin her love life, she decides to permanently eliminate the word 'love' from her vocabulary. But when the heartthrob Julian Davis returns to her life with a tremendous love dwelled in his kind heart - containing the purpose of offering all of it to Kylie - will she be able to block her feelings away? Or will she love him unconditionally - aware of the woeful consequences  - and stand by his side no matter what? This is Kylie and Julian's tormented love story. ⚠️DISCLAIMΞЯ: This book is NOT cliche! It might make you cry. It's written in the formats of plays. It contains strong language. It owns a few steamy scenes. ⛔I recommend you to merely read this book if you are 15 or older. Skyler Blestfulest is the girl that no one notices in the halls of her high school. She left everyone alone and she tries to just get through the days without any problems. Her parents are always limiting what she can do with her time and she was never able to do the things she really wanted to do. But what no one knows is that she's a musical genius on the piano. She has a natural talent and she plays behind everyone's back, even her parents. Till Asher Jayfire gets a little too nosy. Asher Jayfire is the captain of the football team at Payward high school. He constantly has women fawning over him but he's never interested in any of them till he mets Skyler. He becomes fascinated in the way she avoids him and her skills as a pianist. He makes it his mission to get her talent on stage with the bright lights. Please go check out my other stories! And of course my short stories! "You never forget your first love...or his band." 22 year old Addie Clark has moved on...or has she? Bound by contracts, The Light is reuniting for their last concert ever, but they need a few more chart-toppers to do so. The gang is back together! Will Addie learn the true meaning of being a Troubadour? Nasty breakups, hookups, and pranks are in store for the Elevator Music sequel--Filled with forgiveness, secrets, and drama. PLEASE show support in the Watty's!! Troubadour is a finalist!! Venus Stavish' life has never been easy nor simple. Being an orphan and no one wanting to adopt you, isn't how a normal life looks like. She changed foster homes more times than the years she has lived. She finally took the matters in her own hands and did what she thought best. She ran away. Upper East High isn't your normal high school where all is happy and peaceful. This high school is dark and twisted where everybody has a secret. Making friends had never been hard for Venus but making enemies was quiet easy for her. She was the perfect example of beauty with brains but had many bad habits. In her life walks a handsome yet shy stranger which changed her life; for good or bad?